Evo & Grace: The WanderLusts: Gugmang Giatay the Musical: All Things Bisaya Pride. 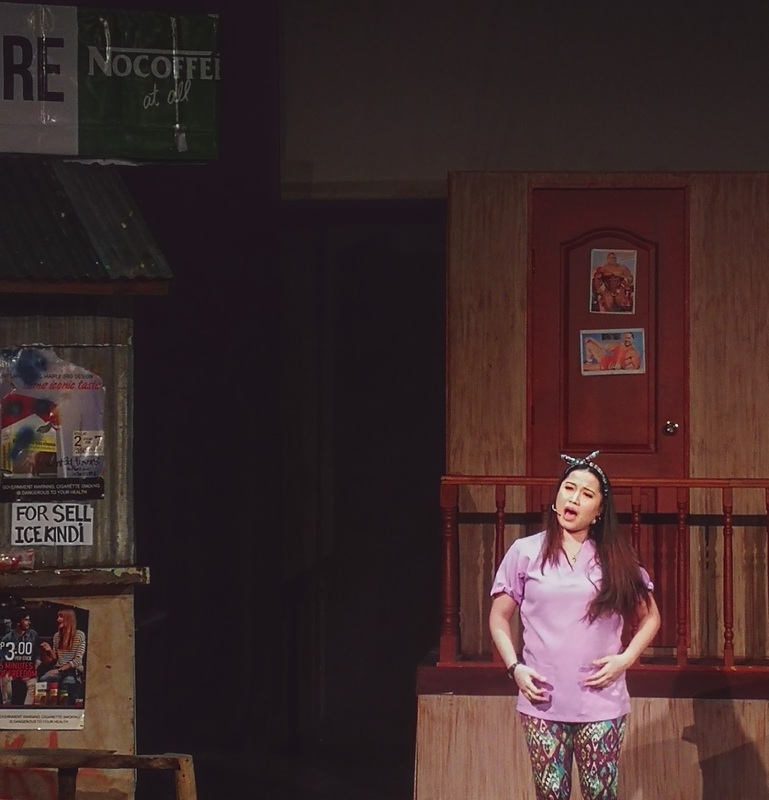 Gugmang Giatay the Musical: All Things Bisaya Pride. “Bisaya baya ni, Bay!”. 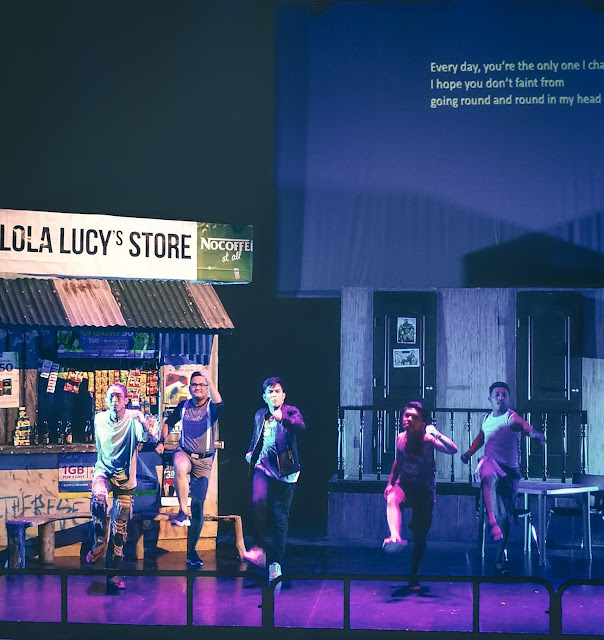 This song phrase really sums up the performance full of Bisaya pride as the original bisrock jukebox musical Gugmang Giatay conquered the manila theater scene on its Manila debut run held at Maybank Performing Arts Theater during the BGC Passionfest last November 28, 2017. 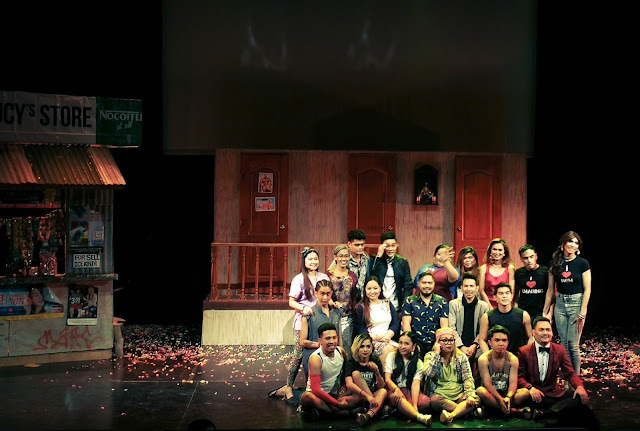 This all-Bisaya cast musical started its story when an ordinary Bisaya neighborhood’s all-time loveteam of Inday and Undo takes its toll. Consequently, complications arise as secrets have been revealed, gossips crawl like vines and confessions breaks from their cages. Across the performance, each of the neighborhood character’s stories were revealed with each showcasing the different facets of love and relationship stripped to its rawness. Rihanna, Inday’s best friend, kept her estranged feelings for Undo since forever. True to her song “Hahahahasula” the feelings consumed knowingly that Undo would not look her the way he looked Inday. Unrequited, loving from a far and trying to move on from something that has never happened is such a hassle feeling- it eats you inside and it is sick. “ Kay di ta uyab, wala ikaw ug ako, pero kung magselos ko, ayaw pagbuot. Sige na lang ta ani Hahaha katawa, Hahaha hasula”. Chareng, a transgender, and Ben proved that love has transcends gender and society’s constructed norm. Both struggled on how to act on their feelings for each other given the prejudice and society’s stigma on their beautiful affair. Afraid yet fearless, they gambled and take the big leap towards own happiness. “Apan, unsaon pa ug pag elabs-elabs. Eh labs ko na gyud ayiz”. 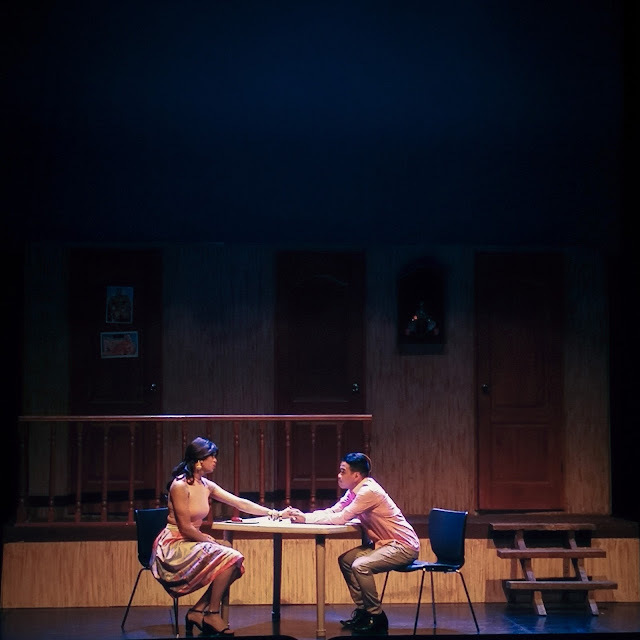 Alas, the play takes it to the point of realizing that love could be damned but at the same time may lead to unexpected endings, or maybe beginnings. Love and relationship plots can be generic but honestly, we will never get tired of it. The play’s story can be canned on that category but its original attack on portraying damned love with raw characterizations is definitely on point. True to its Bisaya roots, the lines, wits and humor were unpretentious and really brought a basket of laughs and realizations. 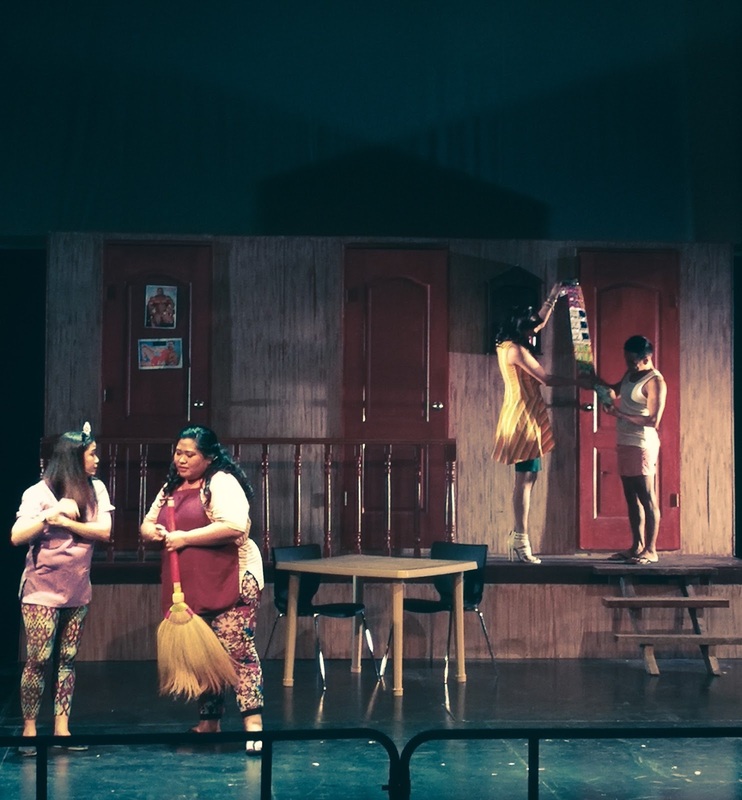 Ultimately, the gem of this play are the solos. Those solos show each characters’ vulnerability to love and even conveyed sincerity to the pain. You just want give them warm hugs and say “okay ra na”. 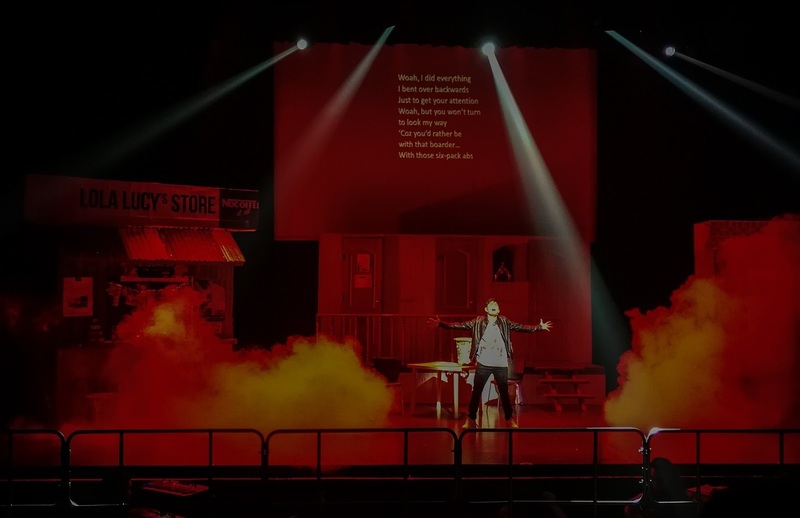 Aside from a relatable story, it was the songs that really captures the audience bigtime. Featuring Vispop (Visayan Pop), Bisrock(Bisaya Rock) and even classic Bisaya folk hit songs, words may come unfamiliar but the melody and the covers would really take you to a rollercoaster eargasm. Hahahasula really cuts deep as Rihanna confesses her feelings through this song. And comes Lola Lucy’s alma-Moreno-can-choke lifting and dance performance of Senior Citizen and Max Surban’s classic Di Na Gyud Mousab would make you laugh your heart out and leave you barely breathing. 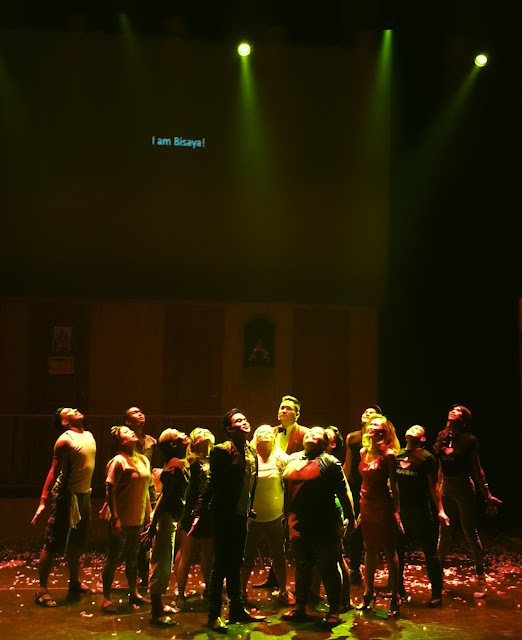 It is truly a bunch of good singers, an ensemble that could give manila musicals a run of their money. And oh, that Bisaya gay lingo song meant to be belted is a lit! 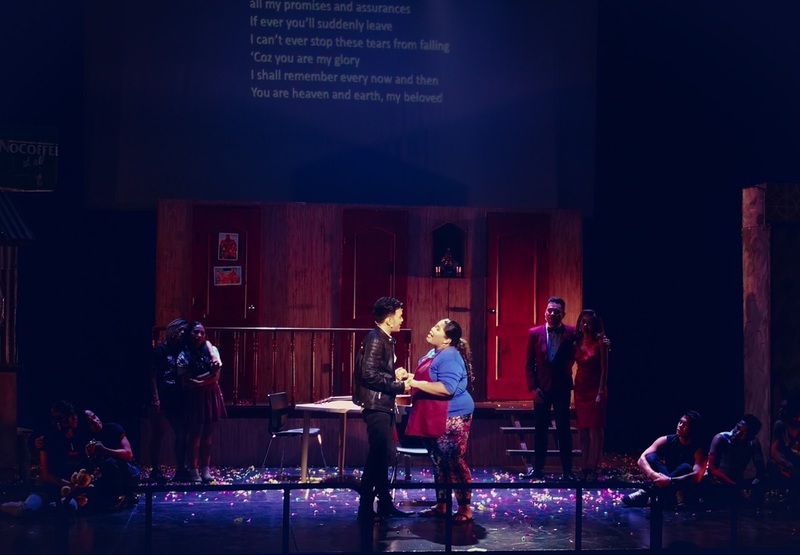 Written by Award-winning Songwriter Jude Gitamondoc and internet sensation Rowell “Medyo Maldito” Ucat, the musical cast features Bong Cabrera, Von Saw, Lourdes May Maglinte, Shiela Pestaño-Gemperoa, Shane Reseroni, Joer Gallur, Paola Pia San Diego, Jeyve Daño, Jan Echevarria, Davelyn Cuenco, Heidi Pogoy, Alem Garcia, Malaya Macaraeg, Kristian Ray Malintad, Dion Cecillio, Laurie Tul-id and Dustin Tagalog. 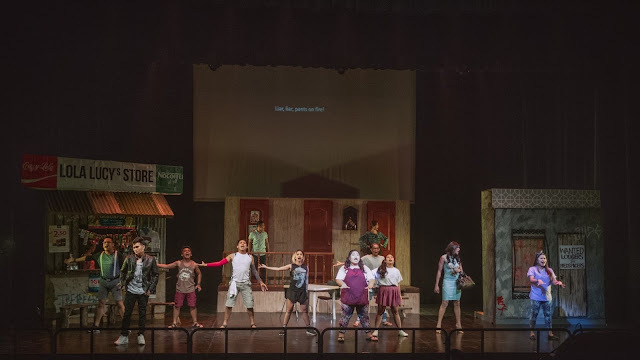 The musical featured both bisaya contemporary and classic songs written by iconic talents as Max Surban, Cattski Espina, Insoy Niñal, Jude Gitamondoc, Medyo Maldito and Junior Kilat, among others. 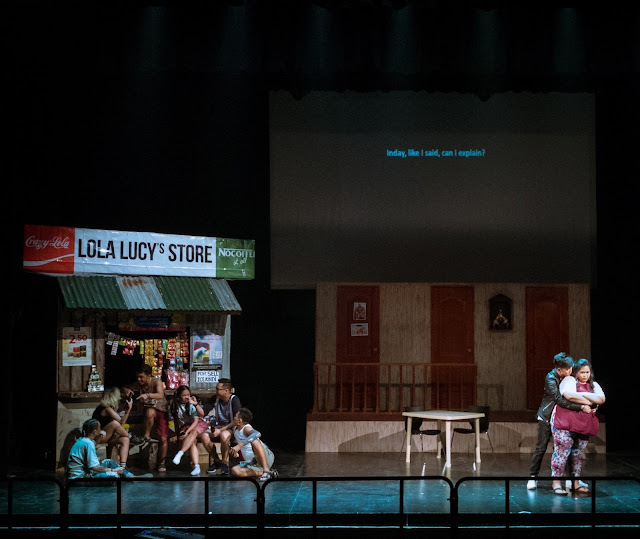 Gugmang Giatay is produced by 2TinCans Philippines in partnership with the BGC Arts Center and Casino Filipino, in cooperation of Offbeat Concepts Production House.